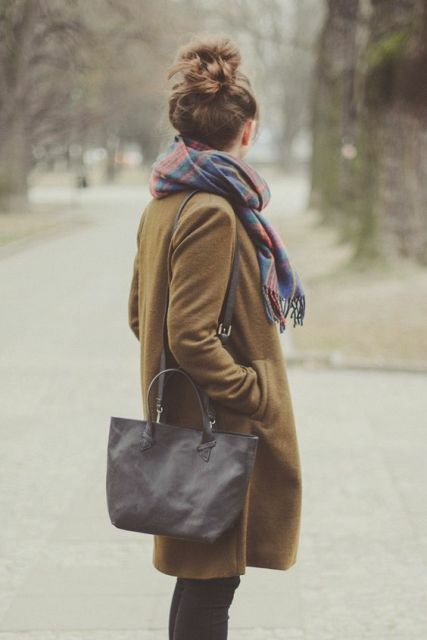 Sometimes it’s so difficult to choose a perfect coat for fall cold days cause there are so many interesting ones! Today you can find a coat of any color you want from any fabrics and with unique decor details. 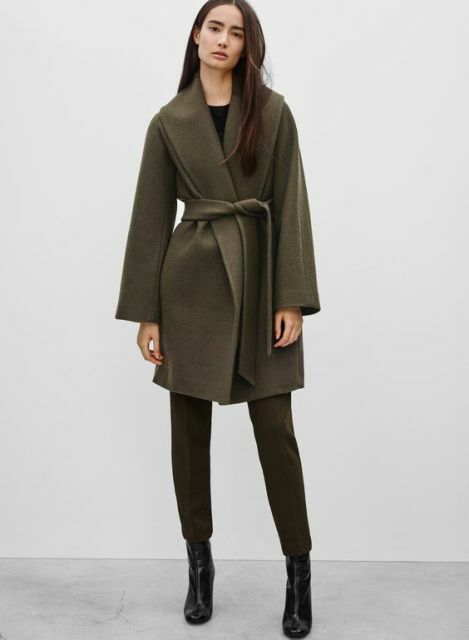 But if you still don’t know what to prefer, I offer you to pay your attention to olive green color coats. This shade is very calm and precious, so if you wanna create elegant fall looks, then you should try to wear this color coat. I’d like to tell you about shades that ideally match with olive green. First of all, it’s brown color, you can take tan, dark or light brown, all shades will look perfect with olive green. For casual clothes combinations choose simple basic colors such as black, white (or beige) and gray. But if you like bold ideas, pick up red, blue or purple shades. Now let’s consider some fall looks with these wonderful coats. 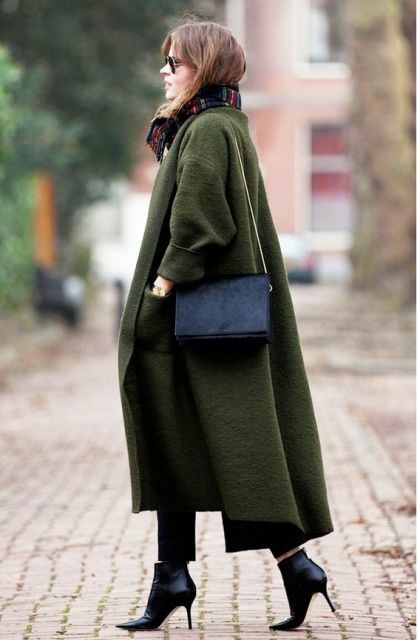 Of course, depending on your style and wishes you need to choose length (maxi, midi or knee-length ones) and type (double breasted, A-line, oversized and others) of an olive green coat. For creating casual looks you can combine it with classic jeans (or try distressed or cuffed ones), brown ankle boots or sneakers and a neutral sweater. For office styled looks you can change your jeans to black straight or skinny trousers or pair crop pants or culottes with mid calf boots or pumps. 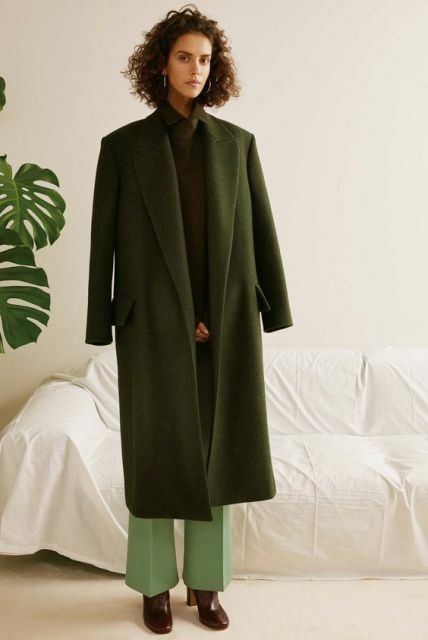 If you wanna make more feminine outfits, choose a midi oversized olive green coat and mix it with a white oversized sweater, pencil skirt and ankle boots. Don’t forget about accessories, pick up bright chain strap bags, felt hats, plaid scarves and black gloves. 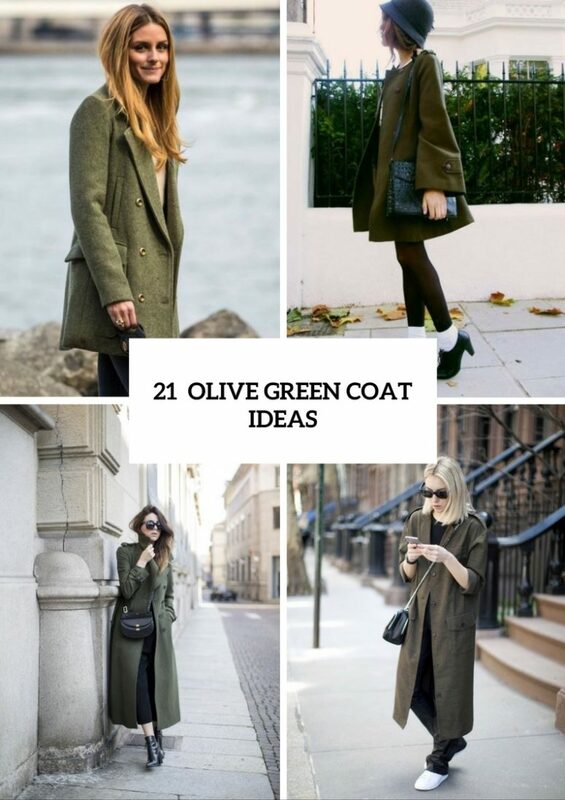 Still want to find out more olive green coat ideas? Then scroll down to enjoy them. Get inspired!